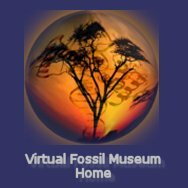 Name: Heliobatis radians (Common name; stingray or skate); Order: Rajiformes; Family: Dasyatidae from the Green River Formation of Wyoming. 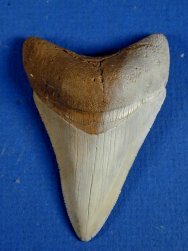 Charcharodon megalodon shark's tooth (3.6 inches) from the Bone Valley phosphate beds in Central Florida, Middle Eocene to Lower Pliocene. Charcharodon megalodon is believed by some scientists to have been the largest predator to ever exist on earth ranging up to 100 feet in length. 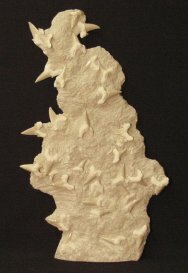 Limestone matrix with 34 teeth from same shark, Lamna aschersoni, from the Eocene-age phosphate beds in Morocco.